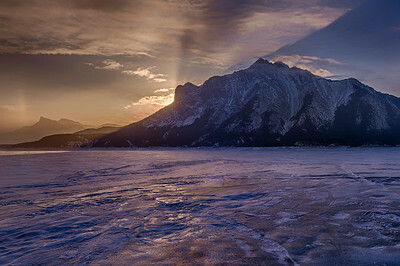 An amazing view of sunrise underlighting the clouds with the shadow of Mount Michener on Abraham Lake. 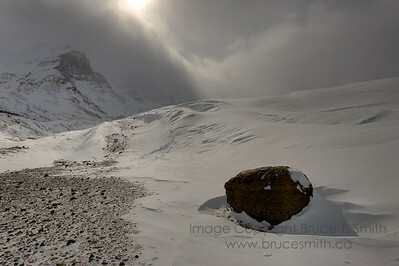 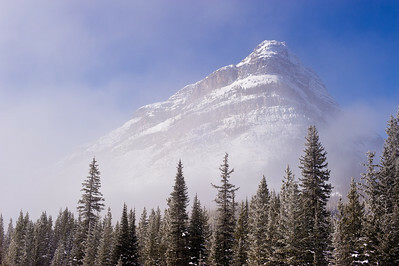 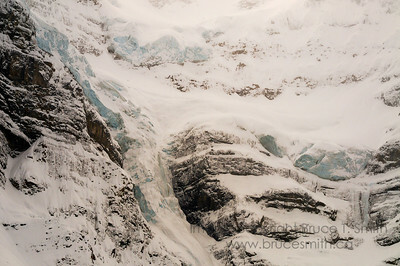 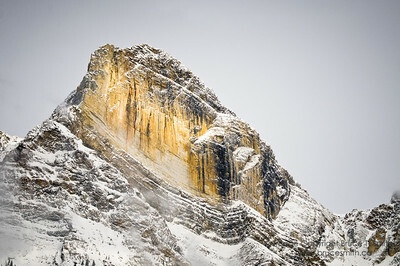 Moody skies over the Columbia Icefields in winter. 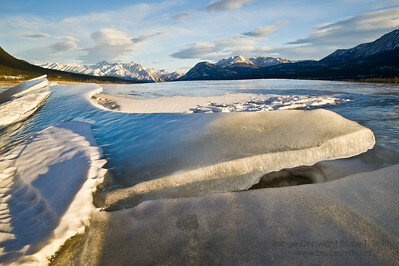 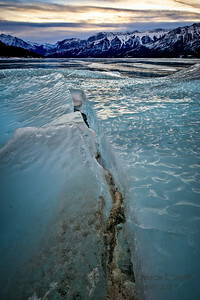 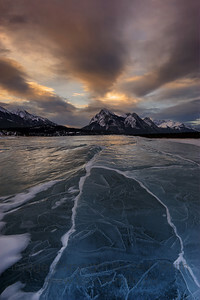 Sunrise over the amazing ice of Abraham Lake. 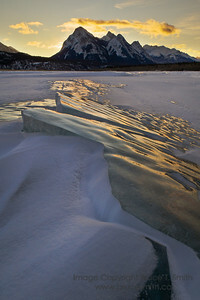 Last rays of sunset on Mount Michener, with Abraham Lake in the foreground. 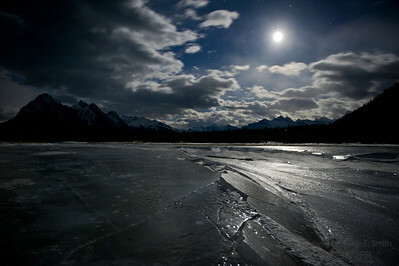 Moonlight shining on the ice of Abraham Lake. 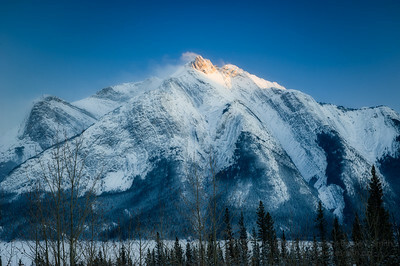 Sunlight on the peaks. 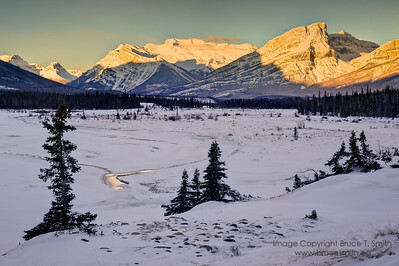 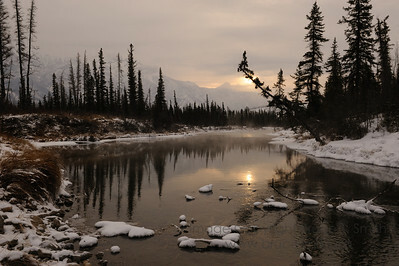 The view looking west along the North Saskatchewan River valley towards the peaks that were illuminated by the January sunrise. 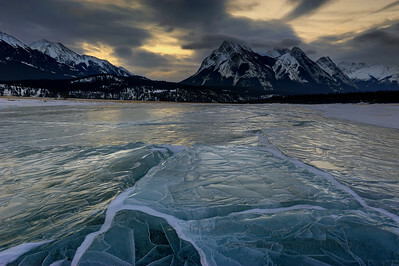 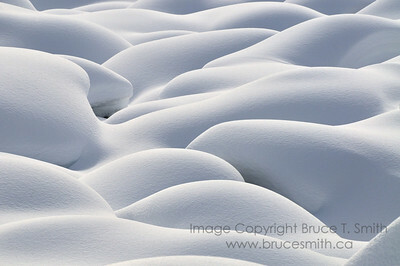 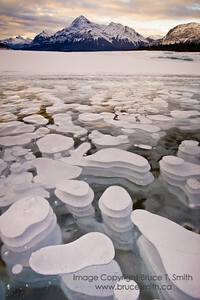 Slabs of ice on the frozen surface of Abraham Lake, Alberta. 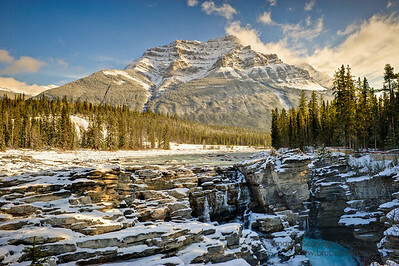 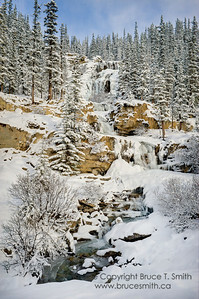 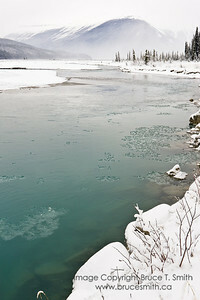 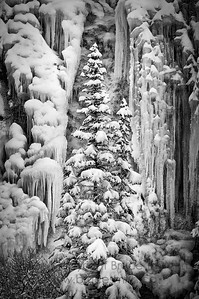 Tangle Falls, Jasper National Park, in early winter. 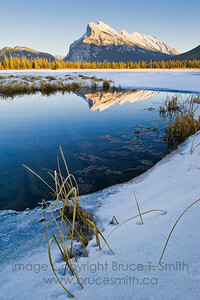 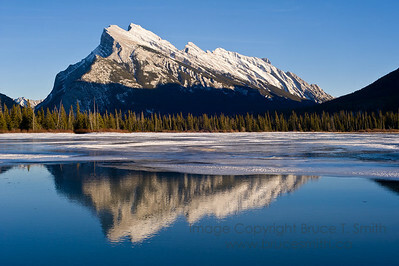 Rundle Mountain, Banff National Park, reflected in the meltwater of Vermilion Lake on a mild winter day. 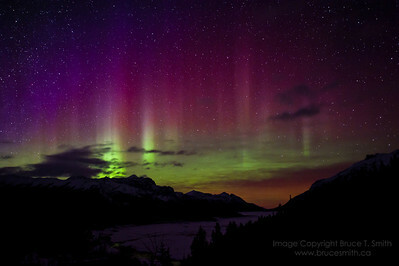 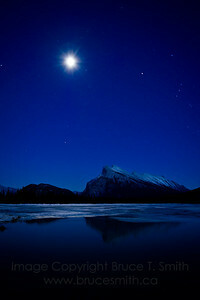 Rundle Mountain, Banff National Park, under a full winter moon, with the Vermillion Lake in the foreground. 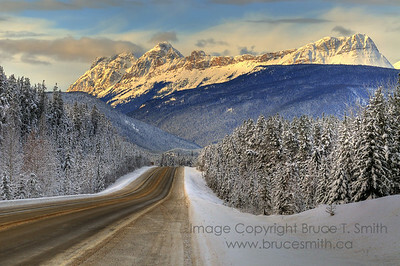 Snowy winter road in the mountains west of Jasper, Alberta. 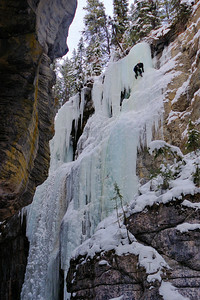 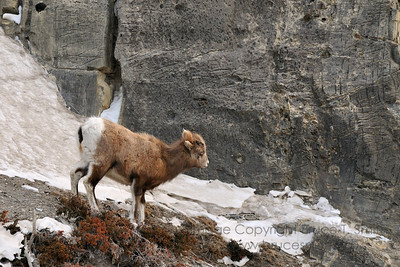 Ice climbing in Maligne Canyon near Jasper, Alberta. 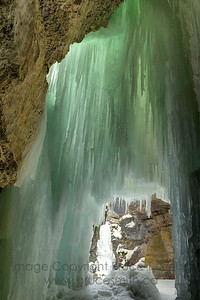 Frozen waterfall in Maligne Canyon, near Jasper Alberta, from behind.